There is only one "missing link," the intermediate between apes and man. There should be many transitional fossils, but science can't find them. Both these points are misconceptions. Abundant transitional fossils have been found, and there are many transitional fossils in the evolution of man. This page will list intermediates that have been found and send you to pages for more thorough descriptions. We'll address just the most important ones. The most important missing link, surely, is Lucy. Don't get confused. Lucy is just the first skeleton, about 40% complete, of her species, which is Australopithecus afarensis. A. afarensis is an upright-walking, long-armed primate with a brain just larger than chimpanzees. We should also cover Homo habilis. Homo habilis was much more human, classified in the Homo genus rather than Australopithecus ("southern ape"). The habilis species designation is a reference to his tool use. 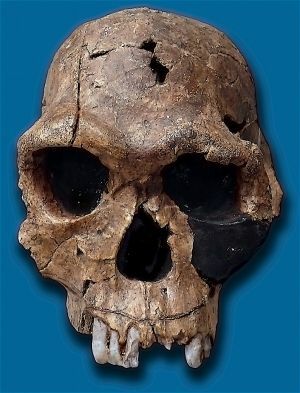 Homo habilis is so excellent an intermediate that both scientists and anti-evolutionists have trouble classifying it. Some scientists want to make it multiple species, while some classify some habilis fossils as Australopithecine and others as Homo erectus. Some say that Lucy is a hoax. She wasn't. Due to a late 2009 report, Lucy is now the second most important transitional hominid. Despite the fact that Duane Gish may have reversed his opinion in 1985, his difficulty in determining whether ER 1470 is human or ape is, as Talk Origins claims, convincing evidence of Homo habilis status as a (no longer) missing link . If you had given me a blank piece of paper and a blank check, I could not have drawn you a theoretical intermediate any better or more convincing than Ambulocetus. 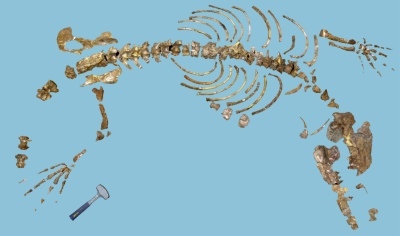 The fossil ancestry of humans and whales are two of the best attested lineages, supplying abundant transitional fossils. There are many more; so many that they could not possibly be listed here.